Meet four women who think they share nothing but a spit of land called Happiness Key. With her husband in prison, pampered Tracy Deloche is left with five ramshackle beach houses and no idea how to start over. Janya Kapur left her close-knit Indian family for an arranged marriage to a man she barely knows. Wanda Gray takes a job guaranteed to destroy her already failing marriage-if her husband cares enough to notice. Widow Alice Brooks has grown forgetful and confused. Her family comes to stay with her, but Alice isn't sure she's grateful. 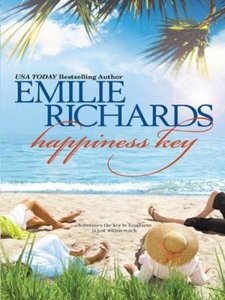 When the only other resident of Happiness Key dies alone in his cottage, the four women warily join forces to find his family. Together they discover difficult truths about their own lives and the men they love-and uncover the treasure of an unlikely friendship.